I am often asked if I had the choice to have 2 arms would I take it... The answer is no. When I was much younger I hated the fact that I was 'different'. I hated knowing that I didn't look like everyone else and I hated the thought that there were things in life that I may not have been able to do because I was missing my left arm. I desperately tried to change everything about myself, which simply resulted in self loathing which eventually manifested into an Eating Disorder. And therefore I am grateful. And I wouldn't change a thing. Your 'differences' make you the person that are. And the reality is ... We are ALL different. The more time you waste trying to be someone else ... The further away you get from aligning with your true self. A lot of the image issues I developed started at a young age, I didn't look like the other kids and I certainly didn't see any celebrities, models or characters in books that looked like me. I decided to write my first children's book "Little Miss Jessica Goes to School" to introduce more diversity to the characters that children are exposed to. The more children see characters that they can relate to, the easier it is to embrace diversity. "Little Miss Jessica Goes to School" articulates a powerful message about body image, difference and acceptance for a young audience. 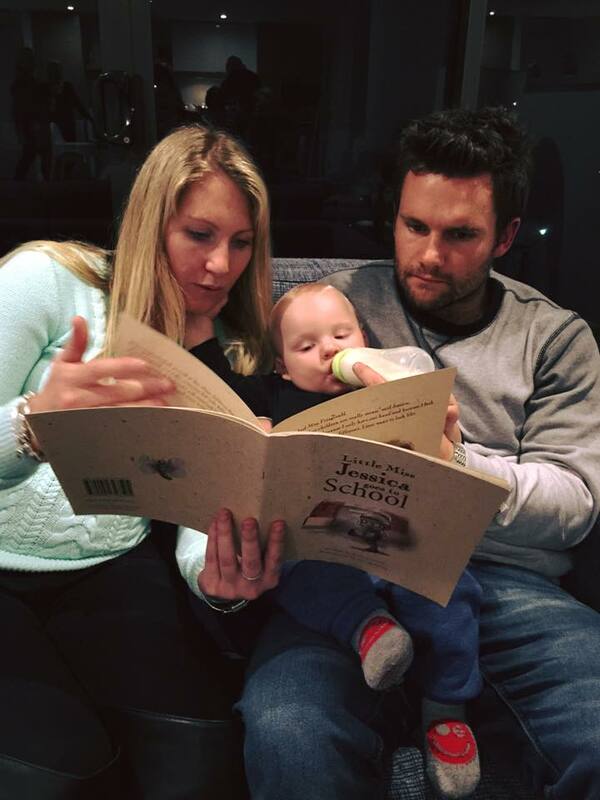 Jessica Smith’s is starting a body image revolution, by writing a book for children. When I was growing up there were no characters in books or on television that looked like me. I grew up with Barbie and Disney Princesses. There was no diversity in the characters I saw, just beautiful flawless females who I aspired to look like.But that was never going to happen. I was born missing my left arm – my parents were devastated and told by doctors that it was simply ‘one of those things’. When I was 18 months old, doctors advised my parents to have me fitted with my first prosthetic limb. Unfortunately while struggling to get used to it, I accidently knocked boiling water on myself and suffered third degree burns to 15% of my body. Not the easiest start to life. I grew up looking and feeling different – in a society where so much emphasis is placed on physical appearance and the desire for perfection – I felt isolated and alone. I struggled to understand and come to terms with my identity and physical appearance. I had no control over the fact that I had one arm or significant scaring; I certainly didn’t ask to look this way. So, I convinced myself that I needed to attain perfection in every other aspect, anything I could control I did. I starved myself believing it was the only way to feel accepted within society. I thought that if I could just have a body like the models I saw on TV and in the magazines then maybe people would see past my other obvious ‘imperfections’. Maybe then I’d be ‘normal’. At 14 I was diagnosed with anorexia, bulimia and major depression. I of course kept all this hidden … and battled with these secret illnesses for almost a decade longer. I was in my early 20’s I hit rock bottom and was hospitalised, spending six weeks in a rehab facility in Sydney. My hospitalisation came as a shock to many, because I had been deceiving those closest to me for many years. On the outside my life seemed wonderful, I was a successful swimmer travelling around the world representing Australia and I was a high achiever academically on scholarship at university completing a science degree. Regardless of our physical appearance we are ALL subconsciously and consciously pressured to conform to societal beauty and body ideals. The constant barrage of negatives messages and images that we are fed via the media has fundamentally resulted in generations of people who believe they aren’t perfect and therefore should hate who they are and the way they look.So I decided that I had to do more. I toyed with the idea of writing a biography, with the aim of putting pen to paper to share my story to inspire others. But the next question I faced was how and why my book would be any different to what was already on the market? I realised that my story wasn’t unique and I didn’t want to just create another self-help book or pages of personal memoirs. When I asked myself what it was that I wanted to achieve, the answer was simple – prevention. I have been sharing my story publicly as a motivational speaker for many years, and my goal has always been about preventing anyone else from taking the same destructive path as I did. My target audience for the past five years has been youth, in particular young females, and although I believe I am able to connect and make a difference with this age group … I’ve always believed that promoting positive body image and self worth at a young age is crucial. Now, as I near closer to the birth of my first child, positive body image and self-worth are qualities I am adamant my children will grow up with, because of the example that I MUST lead. Children do what they see – so it is my responsibility to show them. But I also thought back to the characters that I grew up with and realised that the sheer lack of diversity was a concerning issue. Don’t get me wrong, there is nothing wrong about characters such as Barbie, Cinderella, Batman or Superman – these are the characters that ignite our imagination and encourage us to fantasize. But children also need to see and read about characters that represent what they see in real life … Characters with imperfections … Characters with differences. 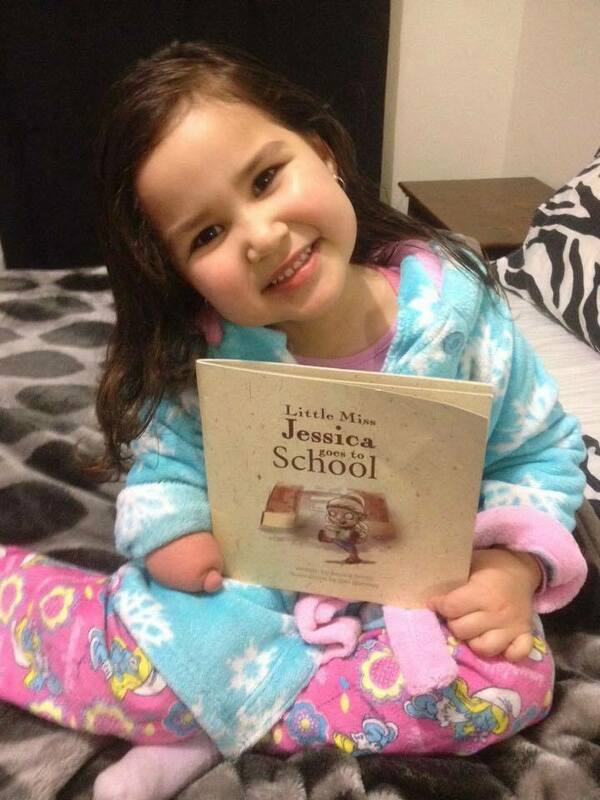 “Little Miss Jessica Goes to School” is not simply about a young girl with one hand on her first day at school. It’s about her journey in discovering that we are all different. She meets other characters who also have a different appearance to her, and together they learn to appreciate who they and how they look, in spite of their differences. The book tackles a range of issues such as self esteem, disability, body image, friendship, acceptance, tolerance and social connection. The book delivers a fundamental message for younger generations about self acceptance – a message that reminds us ALL that being different is OK.
Purchase 'Little Miss Jessica goes to School' here.